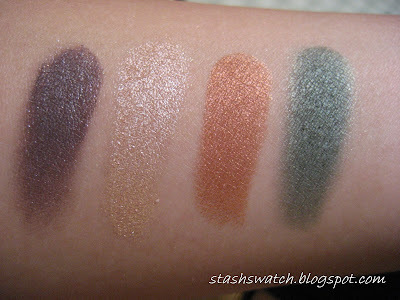 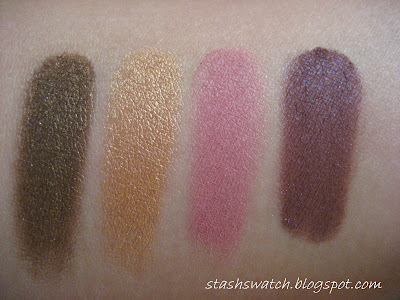 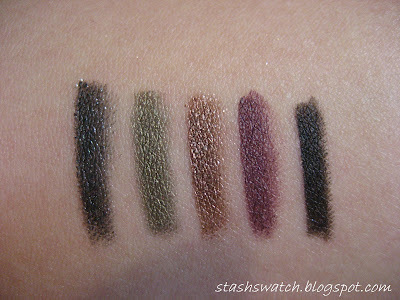 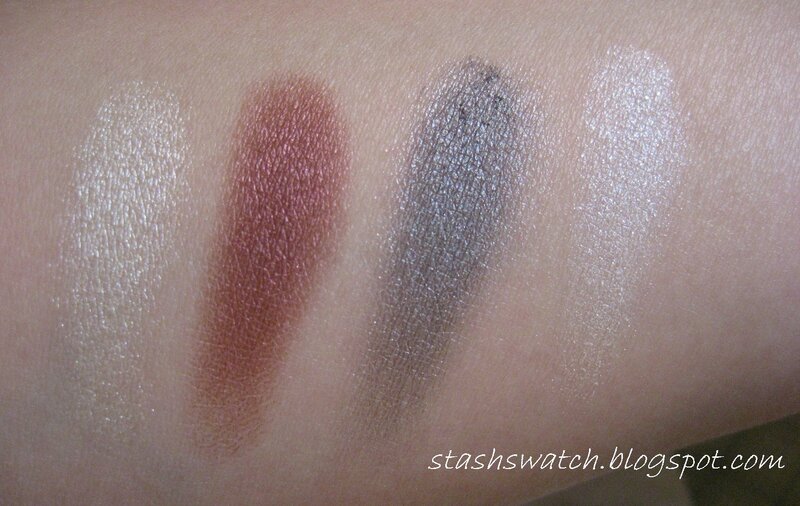 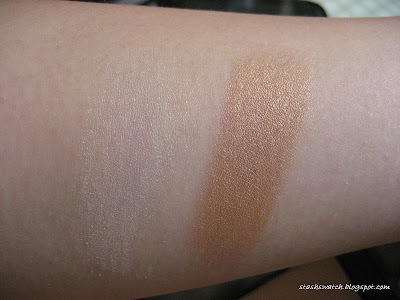 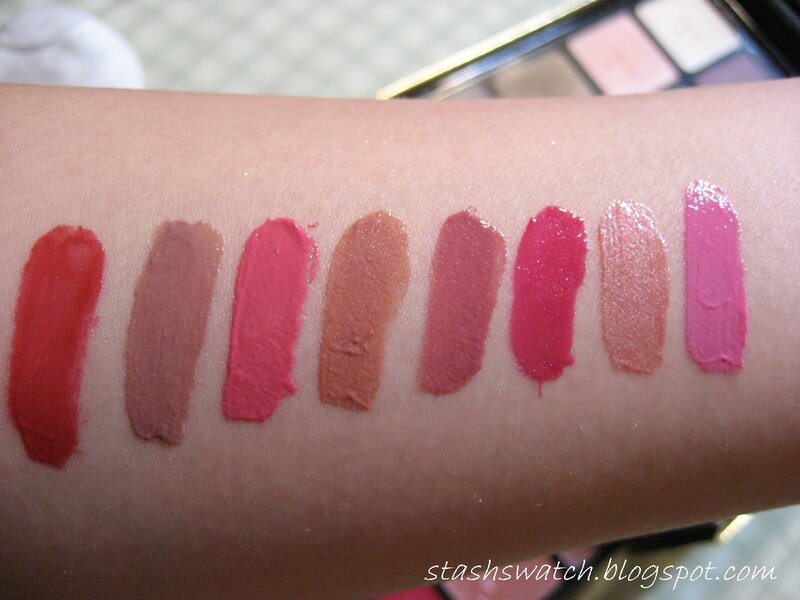 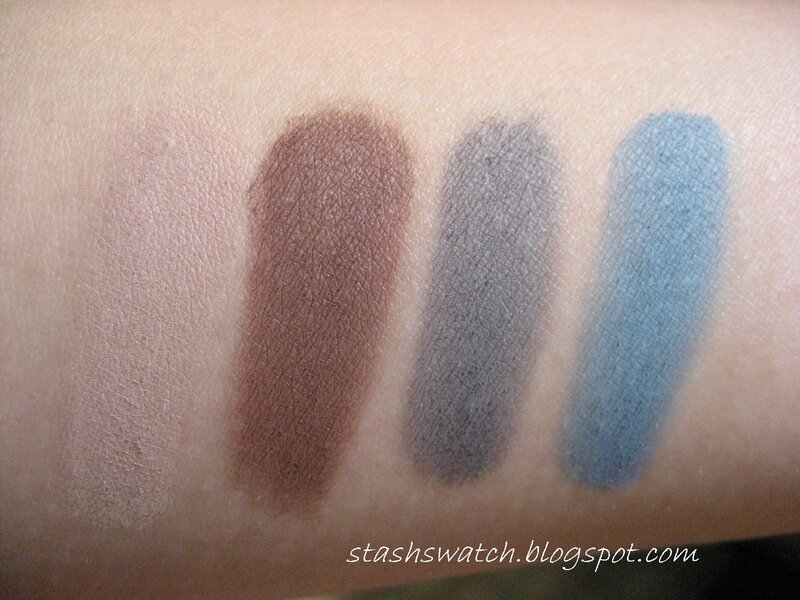 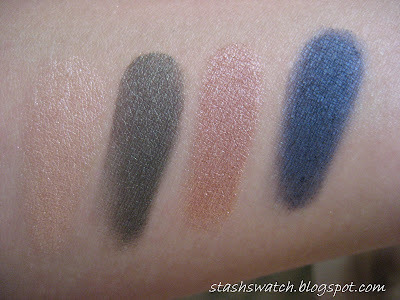 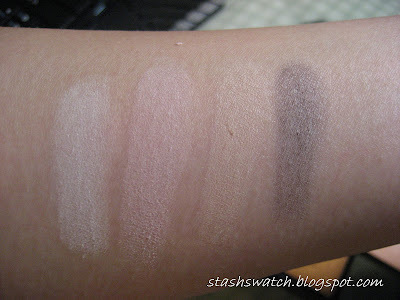 I've had these swatches sitting around for months, but never got around to uploading them on here. I figured I'd get around to it now, while Sephora was still selling these. 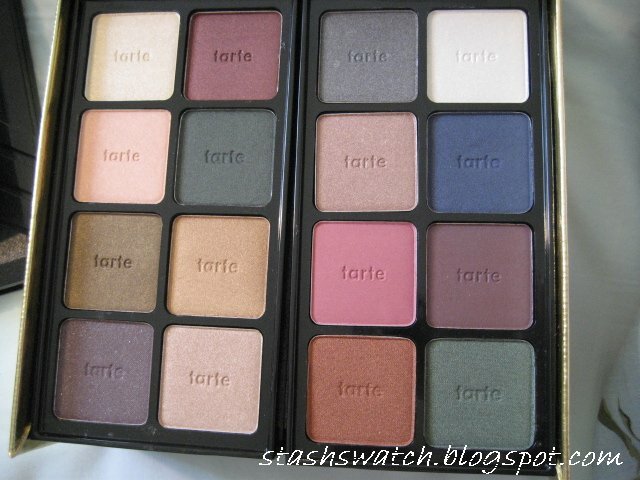 The Tarte Treasure Chest retails for $52 and contains 32 e/s, a highlighter, a bronzer, 8, lipgloss and 5 eyeliners. 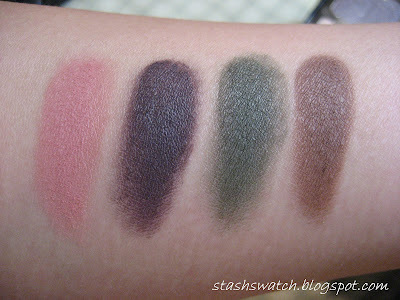 The eyeshadows are less pigmented than their previous palettes, but I didn't have the same problem with them I did last year with them oxidizing on me. 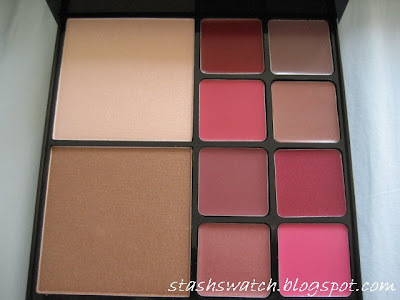 However, I didn't like the sheer quality of the mattes (the mattes last year were much, much nicer), or the bulky packaging of it all, so it went back to the store. 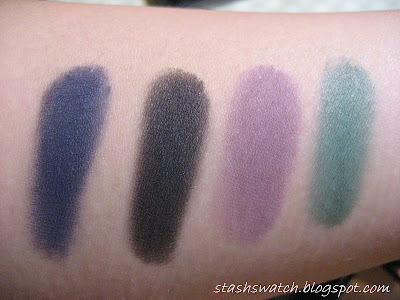 I did really like the colors of the eyeliners, but it wasn't enough to get me to keep them. 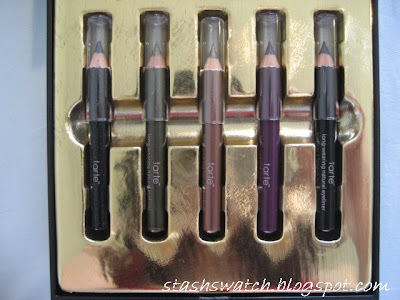 The eyeliners applied smoothly, but never fully set; they remained smudgeable throughout the day, but I didn't have too many problems with them as long as I didn't rub at it throughout the day. 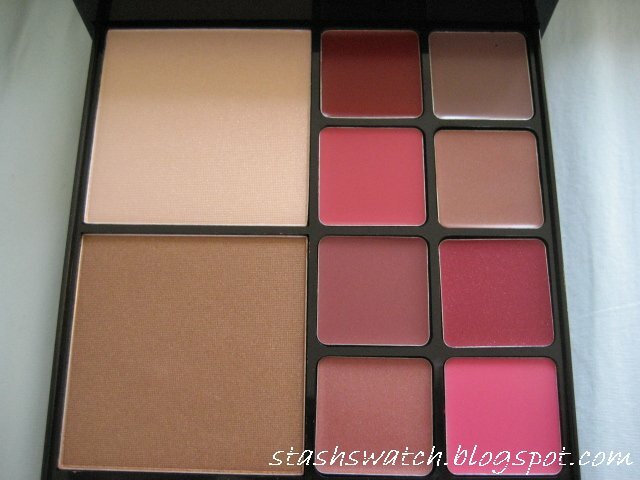 Besides the bulkiness of the packaging, I found that it had a similar problem to last year's palette where the drawer would slide out if you moved around; not exactly great for travel. 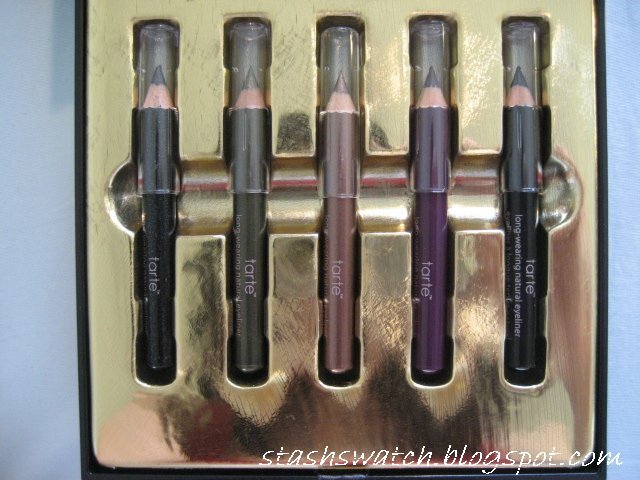 I did find that the eyeliner drawer was a bit difficult to pull though. 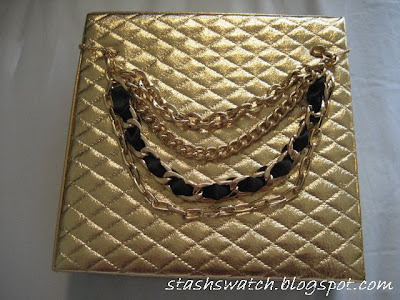 All around, this palette wasn't really worth the money to me, despite the large amount of product inside. 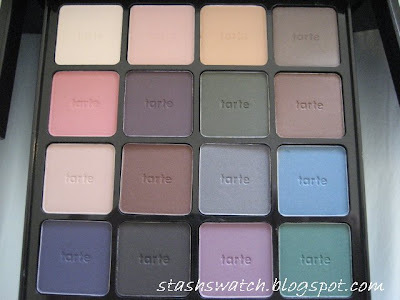 I think I may need to accept that Tarte probably will probably never put out a palette on par with my beloved A-list palette.